Right, next project for me is tackling the Lady Grey Coat from Colette Patterns… I love how I signed up for this back when Gertie began her sewalong back in October. So I’m only two months late in starting. Judging by how long it took me to do the McCalls Trench Coat – I should be expecting to finish this one by the summer next year 🙂 And after much umming and aahing, I’m going to try doing it the tailored way. A good coat is worth the effort, don’t you think? In truth, I have been putting this off as I’m always slower in getting round to doing something if it involves something that I don’t want to do or I perceive it to be more of a hassle. 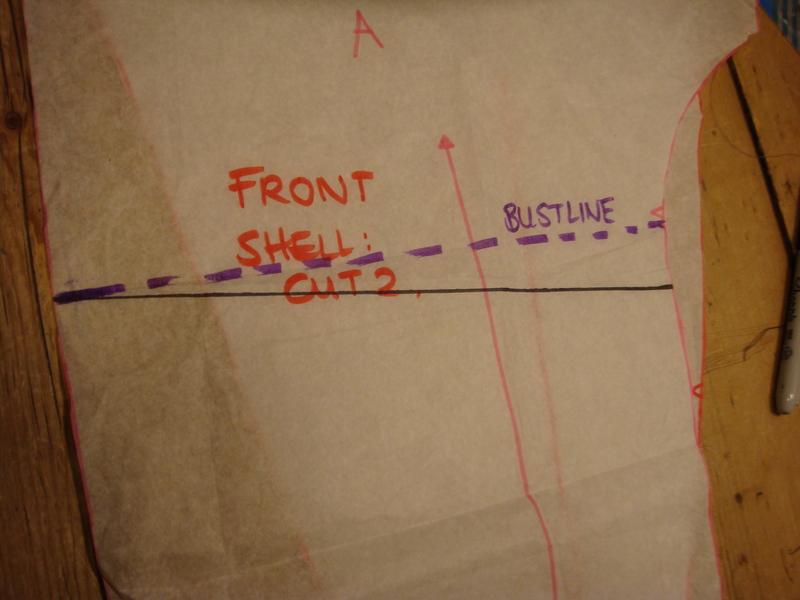 In this case it is a Full Bust Adjustment (FBA). But i’m being strict with myself this time – I cannot afford to have another coat that strains at the bust and generally looks ridiculous. So last night, I got down to it – determined to get this thing over and done with. Having never done an FBA before I got out a sewing book, followed the instructions and just did it. 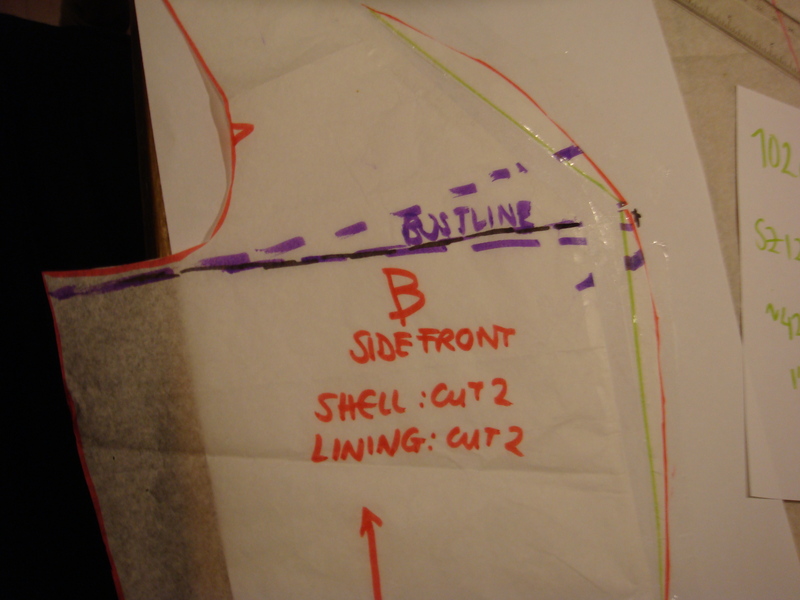 It’s relatively easy to do on a Princess seam pattern, the only problem I found was that on my pattern pieces there are no bust point markings. The final pattern piece. 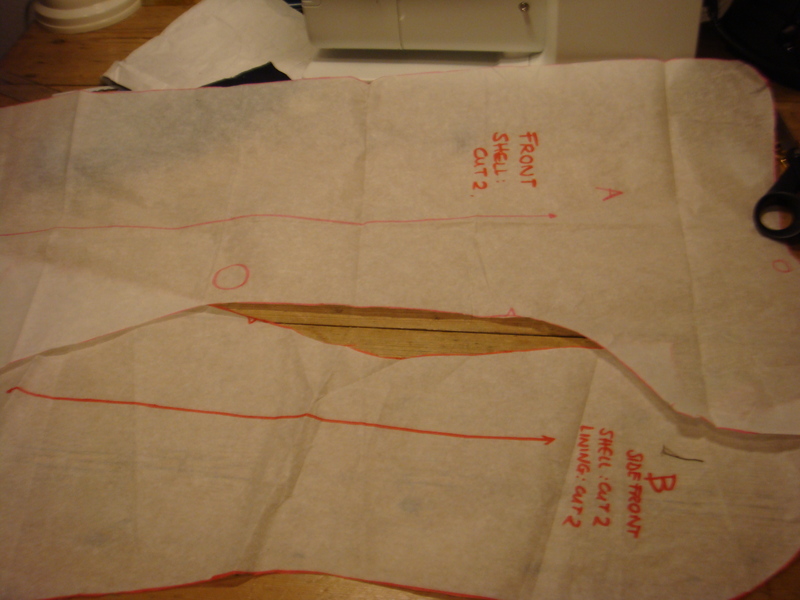 The original pattern I have cut out is a size 12 which is for a 40 inch bust, my bust is 40.5 inches but it just feels like there isn’t enough room, so i’m going to add an 1 inch to each pattern piece and see how that fits. 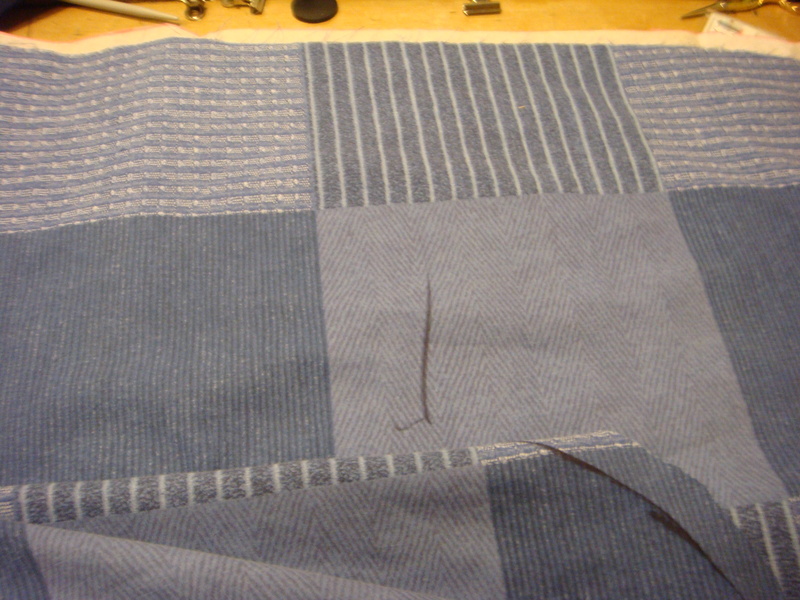 The other thing I don’t like doing – Toiles/Muslins…. I really am a lazy sewer, if I can find a shortcut, I’ll take it! However the fact that the wool for my coat is pretty pricey and so is the silk lining is spurring me on to get this right. I want a lovely fitted coat, not one that looks like I ran out of money buying the fabric! So no shortcuts! 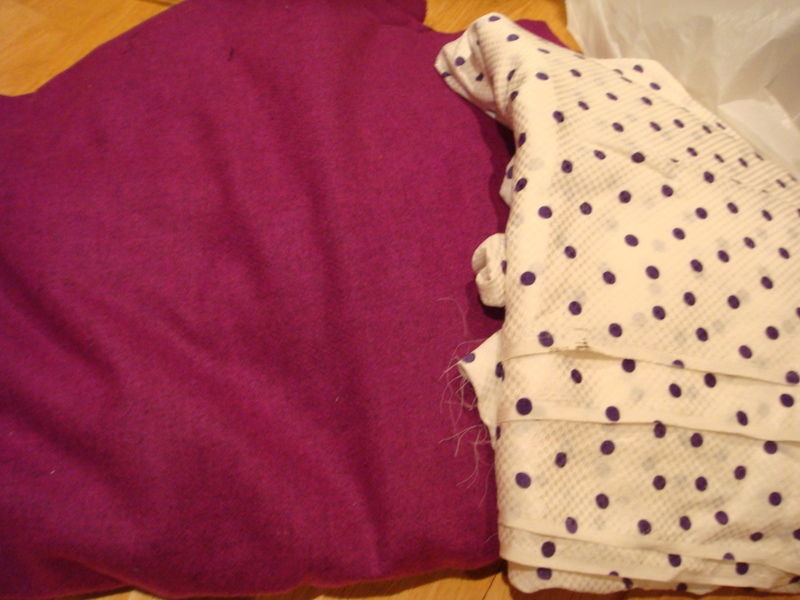 I have a Paul Smith Wool blend paired with a purple polka dot silk jacquard lining – I am now officially getting excited! « Macarons – Yum Yum Yum! Your fabrics look lovely! I am sure I read somewhere that Collette patterns are designed for a C cup rather than the standard B cup that the big 4 design for. So, maybe your FBA won’t be such a big adjustment. In truth I’ve adjusted it by only an inch and really it’s more so that I can get a woolly jumper underneath it! As you rightly said Colette Patterns do draft a bigger cup size and usually although I am a DD I seem to be able to get away with not adjusting it. Naughty I know but I am a very lazy sewer!